The CL Auto Posting Tool is not intended to harass, abuse or overload any system, please be respectful and stay within the guidelines of the site you are posting to. It is your responsibility to read and follow the TOS (terms of service) of any web site or software you are using. claposter.com is absolutely not responsible for misuse of this software. 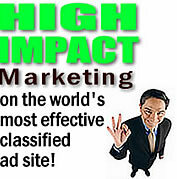 Craigslist is a registered trademark of ® craigslist Inc. / craigslist.org and claposter.com are not affiliated in any way. 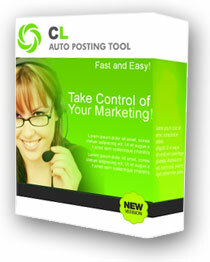 Our developers work very hard at making sure this software is working properly and updated on a constant basis but claposter.com cannot guarantee long term success or make any income projections or guarantees by use of this software.This software is not intended for the purposes of sending spam messages nor do we condone spamming while using this software. We have no control over craigslist blocking and flagging messages, therefore users of this software are responsible for their actions. It is also to be made clear that spamming on craigslist with this tool can result in legal action from Craigslist. Please follow the system requirements and download instructions carefully for misuse of this software may cause craigslist to block your ads.. Extensive help section and FAQ may be found within software. Before deciding to purchase our software, please be sure to download, install and fully test the evaluation version that we provide. Light support will be available for demos but we will insure you have the ability to test and evaluate this software prior to making a decision to purchase. However, we do offer email and remote desktop support for this product through the developer and he will assist you with technical and usage aspects of the program. We offer unconditional 30 day money back guarantee on our products.